It looks like chocolate. It smells like chocolate. But if you've ever tried to take a big bite of so-called "baking chocolate", you know that it is not suitable for out of hand eating, and is not to be treated as a snack. So what is the point of baking chocolate, anyway? This type of chocolate comes in bars, but not the kind that you’d like to eat as a snack. The reason is that baking chocolate, which also goes by “unsweetened chocolate” or “bitter chocolate”, does not contain sugar. It’s solidified 100 percent chocolate liquor (the center of cocoa beans ground to a liquid), but without the frills--sweeteners, emulsifiers, flavorings--that make chocolate a sweet eating delight. Once that chocolate liquor has been fancied up a little bit with cocoa butter, sugar, emulsifiers, and maybe some flavoring, it becomes dark chocolate. It retains a high percentage of cacao. 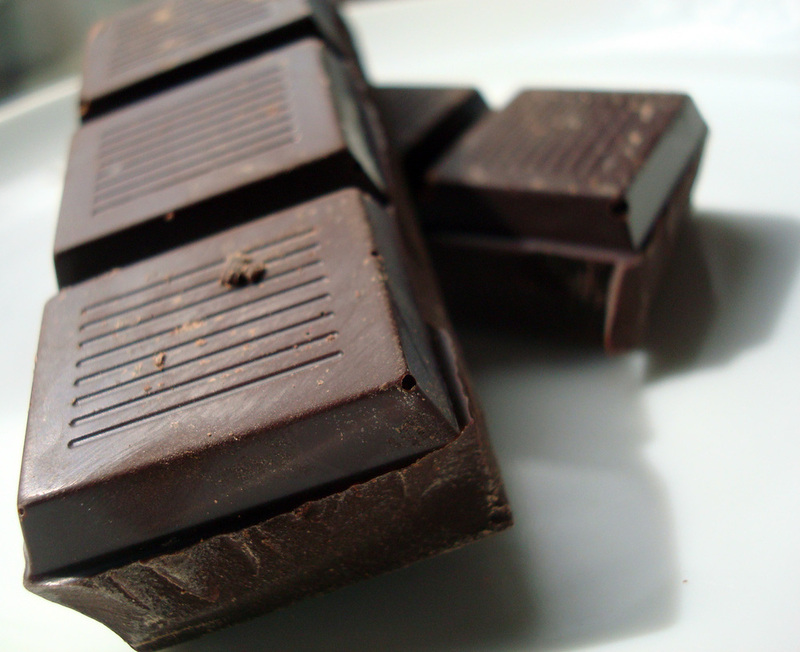 What most people think of “dark chocolate” is 65% to as high as 99%. The higher the number, the less sweet the chocolate. 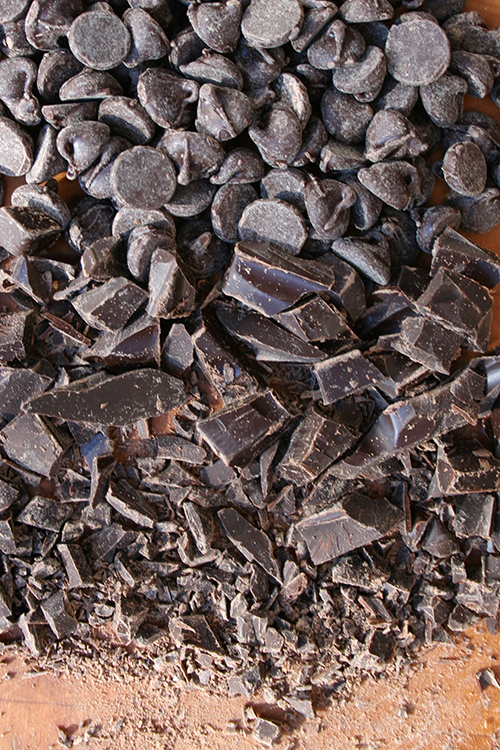 Dark chocolate varieties also include semisweet and bittersweet chocolate. They contain less chocolate liquor--a minimum of 35 percent--bittersweet often carrying more cacao than semisweet. And they contain sugar. It’s a variation sugar-to-cocao ratio that differentiates the two. Because of its sweeter flavor, semi-sweet is more commonly used in baking, and it’s the go-to chocolate type for chocolate chip cookies. 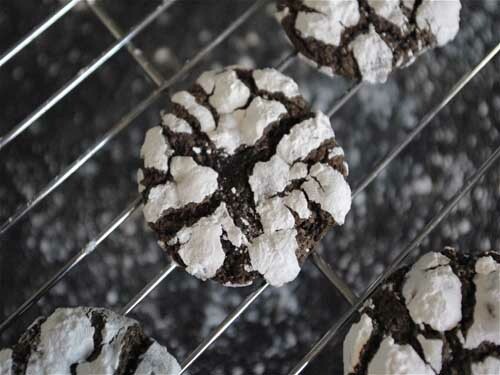 These crinkle cookies are made with unsweetened chocolate in the batter. If baking chocolate has no sugar, what's the point? Baking chocolate is not the best choice for out of hand eating, but it's a great component to mix with other ingredients to make a recipe. Typically, baking chocolate will be mixed into batter when baking, and the sweetness comes from elsewhere in the recipe, bringing out the flavor of the chocolate. It’s not suggested that you use baking chocolate as a substitute for chocolate morsels in cookies or as a candy coating. One of the most famous brands offering baking chocolate is Baker's Chocolate, America's oldest continually run chocolate company. 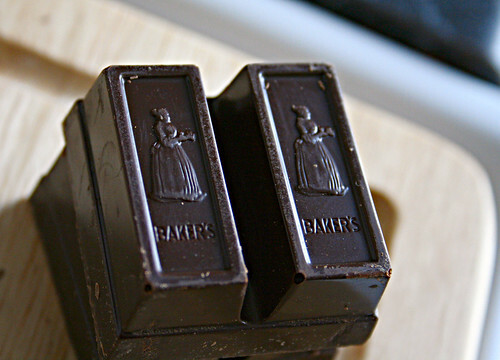 Often, people will refer to baking chocolate as "baker's chocolate", possibly because of the association of this company with producing the unsweetened stuff. However, the Baker's chocolate brand also offers a variety of sweetened chocolate products, including German's sweet chocolate (an innovation by a gentleman named Samuel German, and where German chocolate cake gets its name), white chocolate, and semisweet chocolate. So while Baker's offers baking chocolate, not all chocolate by Baker's is baking chocolate. 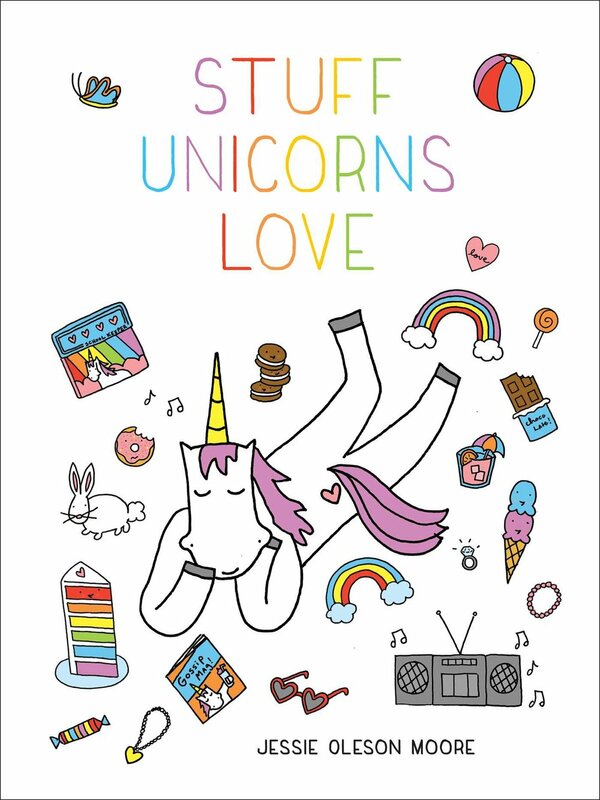 Got it? Good. Can I substitute another type of chocolate? Well, I'm not going to flat out reject you here, but I am going to give you some considerations to think about if you want to substitute, say, dark chocolate for baking chocolate. If your chocolate has sugar added, it may slightly alter the chemistry of the recipe. For instance, if your recipe calls for 4 ounces of unsweetened chocolate and you use 4 ounces of sweetened chocolate, you're adding extra sugar to the recipe, and you can't be quite sure how much. The recipe might come out just fine, or the added sugar might affect the texture or bake time. Or it might just make the recipe too sweet. Is it worth the risk? Up to you. I hope I've given you a helpful little primer here--feel free to chime in with any questions about baking chocolate and I can add to this article to make it even more helpful. Oh, and if you liked this post, check out the more comprehensive posts on the types of chocolate for baking. How do you use baking chocolate?